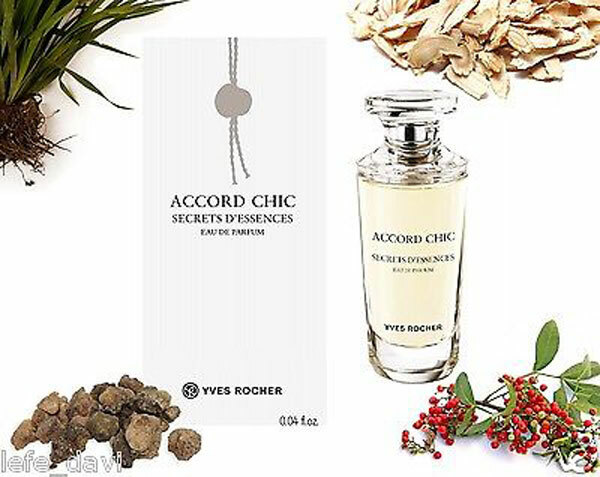 Yves Rocher presented at TFWA WE 2016 its latest innovations, including an Elixir de Jeunesse and an Eau de parfum for women: Accord Chic. Yves Rocher is an independent Breton family group, controlled more than 97% by the family of founder Yves Rocher. From an initial idea: beauty and care by plants at a reasonable cost, this group has built over the decades a diversified offer around several brands. 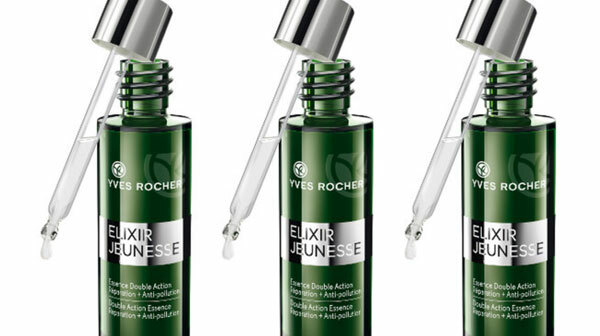 To combat pollution that accelerate cutaneous aging and wrinkles, Yves Rocher once again inspired from plants to develop its new Elixir de Jeunesse. 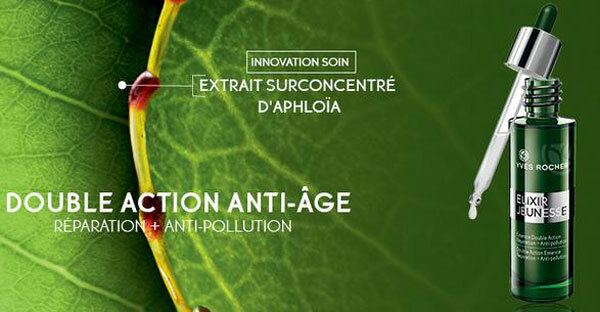 The Elixir de Jeunesse (Elixir of Youth) by Yves Rocher, composed at more than 94% of ingredients of natural origin, contains in particular an extra-concentrated extract of aphloïa coming from a tree in Madagascar whose leaves produce aphloïol. The aphloia is harvested in the wild in Madagascar around the town of Moramanga, east of Tananarive. Its rare molecule used by Yves Rocher belongs to the polyphenol family which allows the plant to protect itself from oxidative damage, to resist to environmental aggressions and to repair the damage caused by climate, UV or burning. This stabilized and overconcentrated molecule combined with a vegetable solvent whose composition is very close to the original plant cells, makes it possible to improve assimilation of the active agent by the skin. This essence deeply repairs the skin while restructuring it and protecting it from external oxidation. The Elixir de Jeunesse makes it possible to find a smooth, detoxified and dazzling skin. To make this elixir, the brand, committed to sustainable development, chose a small Malagasy company, respectful of the conditions of work, life and fair remuneration of its employees. The harvest of aphloïa leaves involves women gathering this treasure during the rainy season. 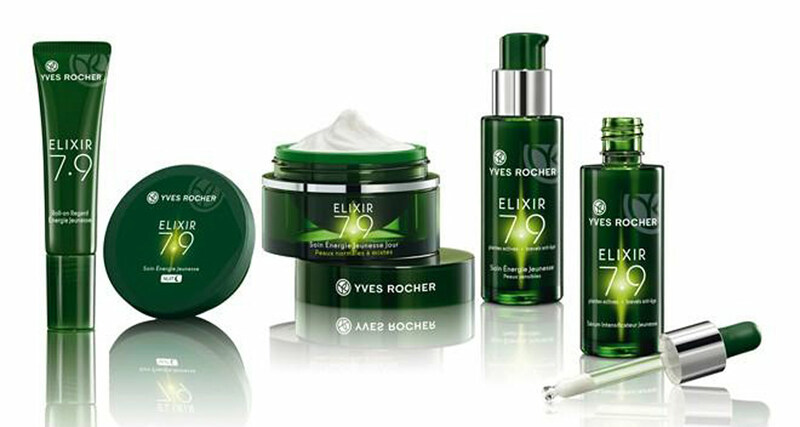 Respectful of the environment, Yves Rocher manufactured an organic product, without mineral oil, paraben, coloring or silicone. The bottle is designed with a dosing pipette for a simple and practical application. Launch price: 19.90 euros until December, then 38.80 euros. 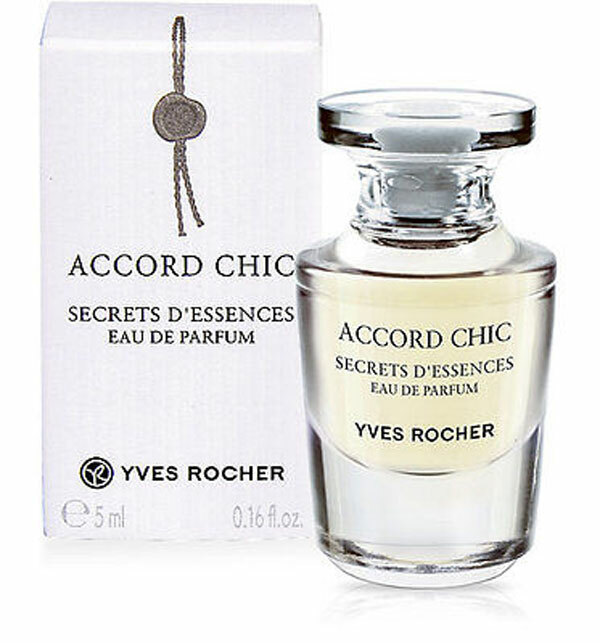 The latest novelty to Yves Rocher’s fragrance is a superb collection called Secrets d’Essences. The perfumes of this collection have been created by talented perfumers and are composed with natural raw materials. Today, the collection has been enriched with a new creation of exception called Accord Chic. A fragrance with oriental scents, floral and spicy, a perfume for woman created by Olivier Creps and Marine Salamagne. This new eau de parfum from the Secrets d’Essences range shows the brand’s attachment to natural materials. 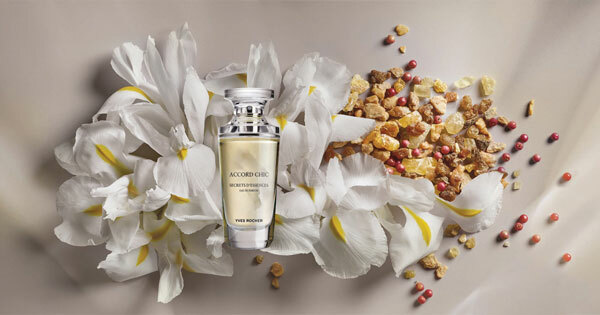 Accord Chic, a floral oriental floral fragrance, elegant and classy, is inspired by French elegance. L’Eau de Parfum Secrets d’Essences Accord Chic reveals an audacious, elegant and singular femininity. The Roses Berries associated with the Elémi (large Philipines tree), the accents of pepper and lemon, display a spicy character and dress with brilliance the floral elegance of the Iris. To bring contrast and depth, this olfactory flight is enveloped by the unctuous notes of Benjoin (also called Jaoui, it is the balm, or resin, of various plants like the Styrax). The incense signs the mysterious side of this new fragrance. The Accord Chic eau de parfum is accompanied by a shower gel. 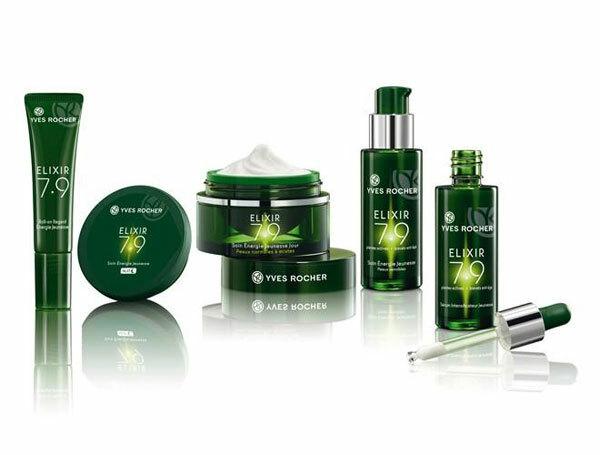 The makeup range Yves Rocher has been enriched with 60 eyeshadens made from extract of rice, pigments and without paraben. Their eco-designed case contains a low amount of plastic (18%). 10 new blush enriched with extract of Muscat Rosemary Oil and highly pigmented, are available on the market in 10 shades, Matt, Pearly and Scintillating. The group Yves Rocher, still anchored on the Breton lands, is directed since 2010 by Yves Rocher’s grandson, Brice Rocher. Present in the cosmetics, home beautification and clothing markets, the group has eight main brands: Yves Rocher,Petit Bateau, Stanhome, Dr Pierre Ricaud, Daniel Jouvance, Kiotis, ID Parfums, Flormar. The group employs 15,000 people worldwide and its turnover is estimated at more than two billion euros. Proud of its 40 million clients who trust each day, the group has acquired a strong image among French consumers. Each of us has a history in common with one of the Group’s 8 brands.